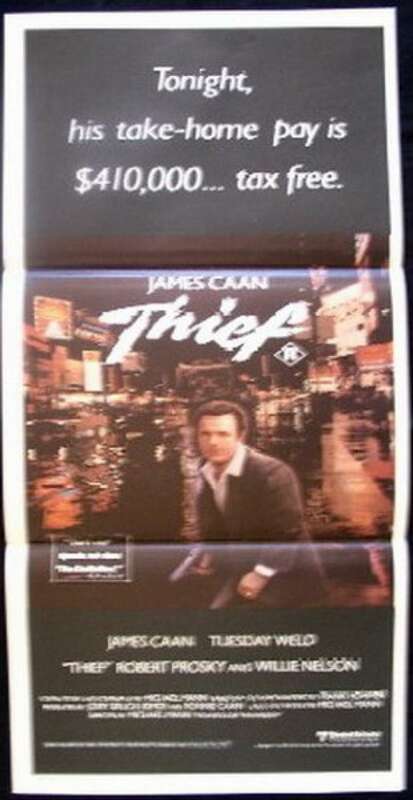 Thief is a 1981 American neo-noir crime film written, produced and directed by Michael Mann in his feature film debut. 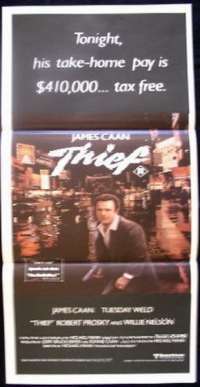 It is based on the 1975 novel The Home Invaders: Confessions of a Cat Burglar by "Frank Hohimer" (the pen name of real-life jewel thief John Seybold). 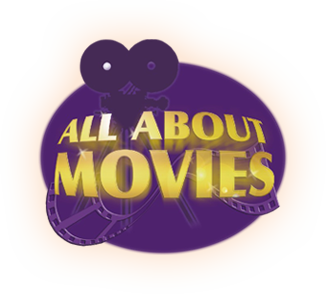 With James Caan, Tuesday Weld, Willie Nelson, Jim Belushi. Coming closer to his dream of leading a normal life, a professional safecracker agrees to do a job for the Mafia, who has other plans for him.